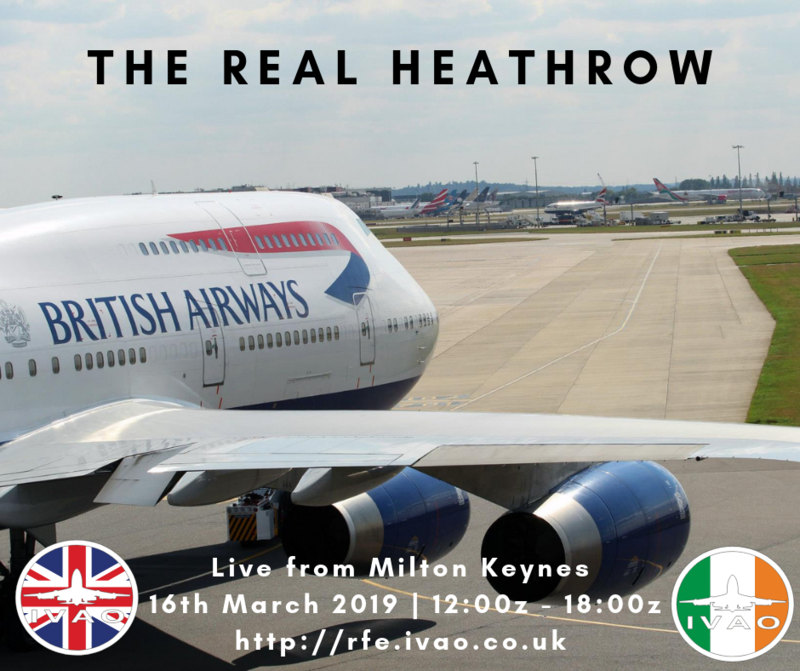 It's back, IVAO UK are pleased to announce the UK’s busiest and the world’s busiest international airport, will be fully staffed on Saturday 16th March with some of the best controllers in the community for The Real Heathrow. From 12-18z, you as a pilot will be able to fly any of the hundreds of real flights available to book – flights which will be flown during those same 6 hours in real life! Whether long hauls or short domestic hops are you thing, there will be a flight for you.